The Spotlight by Brittany Shawnté: RuPaul's Drag U! Hello all. Here's a post for you today. Swear the summertime is right around the corner and I'm gonna stop slacking on my posts! LOL. I am a HUGE fan of RuPaul's Drag Race, which showcases drag queens all over the country and puts them up against a series of challenges to fight to become the world's top drag superstar! It is hosted by the legendary RuPaul, as the name suggests, and features celebrity guests. Well, according to BET Entertainment, Drag Race will branch out to a spin-off entitled RuPaul's Drag U, set to air in July on LOGO, a TV channel geared toward the LGBT (Lesbian, Gay, Bisexual, and Transgender) community. 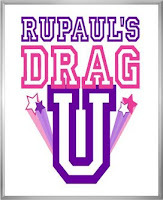 This new series will bring together queens from both seasons of Drag Race as "professors" at Drag U to tranform overworked moms and housewives into the beautiful queens that they are and promote self-esteem. In the end, one mom or housewife will be the top student, after a series of challenges. The show has the feel of VH1's Charm School with Mo'Nique and Ricki Lake. I definitely look forward to seeing it, especially since my favorite Jujube from the second season will be on it (yes, I'm obsessed). I know it will be very entertaining and inspiring! 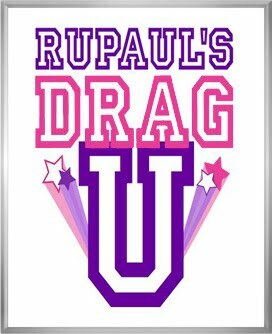 Hear from the drag professors in the video below, and be on the lookout for RuPaul's Drag U on LOGO!